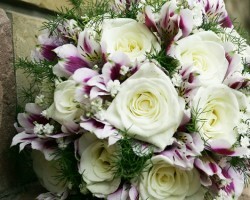 Do you need quality flowers for your wedding? The dedicated staff at Flowers for You, LLC goes out of its way to make your experience pleasant by going an extra mile in making the perfect floral arrangements. 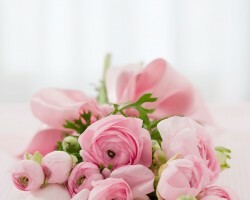 To ensure your wedding flowers are perfect, the wedding consultants will work closely with you every step of the way. Additionally, Flowers for You, LLC offers an extensive variety of flowers for other occasions such as funeral flowers, anniversary flowers among others. Having been in the business for many years has made Jack the Florist, INC rise above the competition. The staff is committed to creating beautiful flower arrangements that are ideal for any occasion. As a local Hialeah florist, flower delivery is done throughout the city as well as its surroundings. Since they know that flowers make a thoughtful gift for any occasion, Jack the Florist, INC has a wide variety of flowers to choose. The staff has experience in bouquet arrangement giving their customers excellent services. For flower delivery in Hialeah, Bud Stop Florists are a top choice. The team of experts at this shop create the perfect floral gift to suit any occasion or holiday - from a romantic anniversary and adorable mother’s day flowers to sympathy funeral flowers. Get your loved ones beautiful and fresh flowers at an affordable price. The flower shop offers delivery services up to your doorstep giving you a great customer experience. 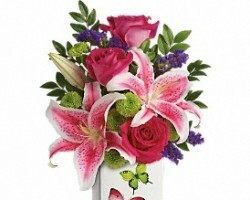 With years of experience, they offer a variety of flowers that will meet each customer’s needs. Looking for a reliable flower shop can prove to be a challenge. Anointed florist has experience in the floral business and caters for all your needs. From weddings, funerals to romantic flowers, the team is dedicated to offering the best of their services. Flower delivery is across Hialeah, Florida and often international deliveries are also done. Specializing in flower arrangement, Anointed Florist gives you the perfect experience on your special day, be it your wedding or anniversary. Being one of the most trusted local florists, Bella-flor-Flowers offers flower delivery throughout Hialeah, FL, and its surroundings. 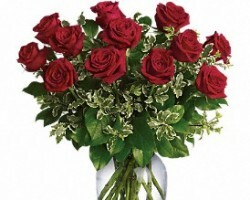 You can conveniently order affordable flowers through their official website or by giving them a call. Finding florists with great reviews has never been easy. Due to their excellent client services, Bell-Flor-Flowers have earned a good reputation from their many customers. Being among the top florists in Hialeah, FL, they aim to meet every customer’s unique needs at a pocket-friendly price.